Home » Is there an alternative to the Chinese “New Silk Road”? The prospects for the global economy will depend not only on access to energy resources and technologies, but also on the availability of transport corridors. One of these days, Turkey opened the world's largest Istanbul airport and is building a new canal parallel to the Bosphorus. China extends railway branches through Central Asia and the Caucasus to Europe as part of the One Belt-One Road Project and is building an alternative to the Panama Canal in Nicaragua. The United States, by and large, such projects are not particularly needed because of their geographical location, since communication with the largest trading partners - China and the EU - is carried out by sea and air. But for Russia, located in the heart of Eurasia (Heartland), the expansion of transport links is vital to accelerate and expand trade with the emerging markets of Asia and Europe and act as a transit country between them. Does Moscow have its own “silk road”? In early November, representatives from Russia, Iran and India will discuss the possibility of launching the North-South corridor. 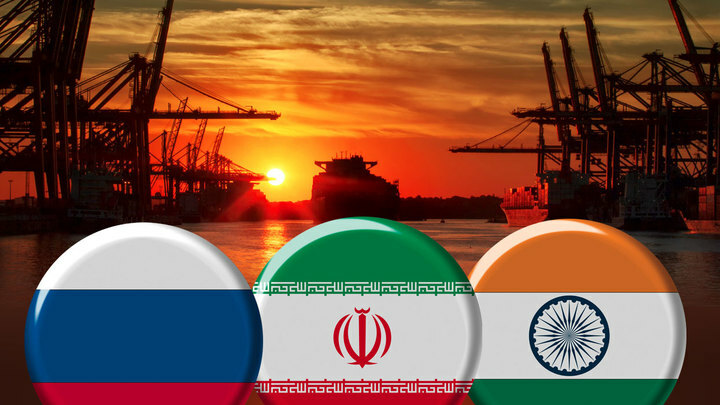 It will connect the Indian port of Mumbai with the Iranian Bandar Abbas. From here, the cargo will follow the Astara-Rasht-Qazvin Iranian railway (scheduled to open in 2018), which is already connected to the Azerbaijani railways across the Astara River. In February, the first composition with Russian timber arrived in Iran through Azerbaijan. Further transportation will be carried out already on the Russian territory along the route Astrakhan - Volgograd - Saratov - Moscow - St. Petersburg with access to the Finnish border. The length of the "North - South" is 7.2 thousand kilometers, which will allow to deliver goods from India to Russia 20 days faster than the traditional route through the Suez Canal. The cost of transportation will be reduced by 30-40%. In addition, the speed of transportation can be increased. The project linking Russia with India and Iran has a high potential if Europe and East Asia join it. Alternative to the Chinese "Silk Road"? Russia and China have a joint statement on the linking of foreign trade initiatives and integration processes, such as the construction of the Eurasian Economic Union and the One Belt - One Road Initiative. The Chinese Silk Road is, in fact, not a single route, but several transport corridors, some of which are more and some less developed. Today, small corridors are actively developing, according to the type of corridor China - Pakistan - Afghanistan. And also the longest Eurasian corridor is partially developing. China is investing a lot of money there. Most importantly, it is designed to transport Chinese goods to other countries, primarily to Europe and in general to the West. Thus, this path is guided and supplied by one side and, most likely, in the interests of one side. The North-South Corridor is arranged differently, it is more interesting for all participants, since there is no one country that should control it. Therefore, North-South will not only be an alternative to the One Belt - One Road Project, but also an addition. From the point of view of geo-economics, North-South is important for Moscow. He closely ties Iran, which is under sanction pressure, which has already expressed a desire to sell oil to Europe through Russian territory. Donald Trump already extended the oil embargo against Tehran. North-South will also compensate for the intensification of Azerbaijan’s participation in Euro-Chinese projects, in particular, the Baku-Tbilisi-Kars transport hub launched at the beginning of the year, and will more closely link Baku with Eurasian integration. The growing Indian economy in the face of confrontation with China and the chaos in the Middle East in the face of Russia gets the "door" to the European market. The purchase of Russian S-400 in rubles and the participation of India in the anti-American club BRICS partly testify to the hopes New Delhi places on Moscow. At the moment, the trade turnover between the participants of the North-South is extremely low. India and Russia in 2017 gained only nine billion dollars, 10 times lower than India and China. The situation is even worse between Russia and Iran, whose mutual trade turnover — two billion dollars — is 30 times lower than the Iranian-Chinese one. A little more Moscow is trading with Baku - $ 2.6 billion. The completion of the North-South project and the modernization of the transport communication between its participants will change this meager balance. Arguing about the "North - South", we cannot disregard the fact that the Chinese "New Silk Road" has several routes, including land, through the Far East and Siberia, and the Arctic. In the light of the pressure of Donald Trump’s trade and economic war against China, the significance of the Russian direction of the New Silk Road will be even higher.